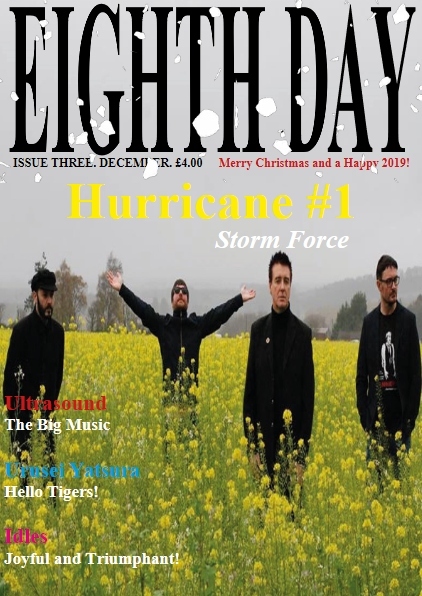 Eighth Day Magazine Issue Three (eMag), December 2018, ***AVAILABLE AT A SPECIAL PRICE OF £3.00 FOR A LIMITED TIME, RRP £4.00***. Music, Film and Art. Interviews, reviews, articles and more. Features Hurricane #1, Ultrasound, Idles, Urusei Yatsura, John Peel, Therapy?, Albums of the Year, Muse, Queen, QueenEsque, Bohemian Rhapsody, Dreams of Carnage. Endorsed by Keeping It Peel and RTÉ Radio 1.